Volunteering to Help Your Child's Team: What's the Payback? You are here: Home / coaches / Volunteering to Help Your Child’s Team: What’s the Payback? Volunteering to Help Your Child’s Team: What’s the Payback? Sports parents know that volunteering is practically mandatory for them if their children play sports for any length of time. Volunteers are the grease that turns the wheel of youth sports; there’s just no way to avoid doing it. 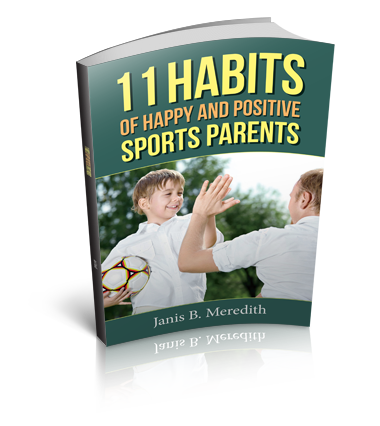 It’s a sports parent’s duty, and many times it’s done rather grudgingly. But may I suggest a different perspective of volunteering that could take some of the drudgery out of it for you? You know you should do it and yet you may look at it as one of those duties that doesn’t do much more for you than swallow up precious time. When parents volunteer to help, it’s like depositing money into an account. Every time you work, you put a little more into the bank. Every now and then, you may need to make a “withdrawal,” like talk to a coach or a parent about a concern you have, or a problem you see. If you have nothing in the account, then your “withdrawal” will put you in the red, but if you’ve build up “credit,” or credibility, then making a withdrawal is easier. Bottom line: people are more likely to listen to you if they see you really care, are supportive and put your time where your mouth is. No volunteering at all gives you little credibility and you may wish you had some when a problem arises and you really need to have people listen to you. There’s no better way to get to know people than working side by side with them for a common cause. The hours I spent working in the snack bar at volleyball and basketball games allowed me to meet new people and strengthen nominal friendships. If you’re new in town, on a new team, or in a new school, this is a great way to connect with people. Of course, every parent should have a say in what goes on with their child’s team, but the fact of the matter is that coaches and league leaders are more likely to listen to your opinions if you’ve demonstrated your commitment to the team by sacrificing your time to support them. By volunteering, you earn the right to be heard. 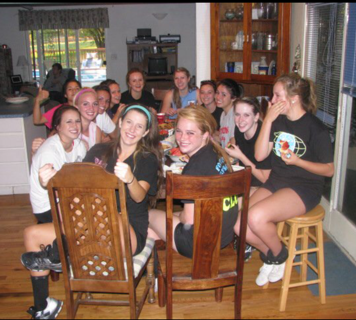 My daughter’s volleyball team eating a team meal at our house in her senior year. You get a close-up view. As a parent, you’ve learned that when you are around your kids you have a seat to observe what goes on in their world. This is also true about volunteering in youth sports. “Hanging around” the coaches, the team, and the other parents will give you a better understanding of what’s really going on. Let’s say that you faithfully volunteer to keep the books for the team. You hear conversations and you observe behaviors as you do your job. You have a feel for what’s really going on within the team. 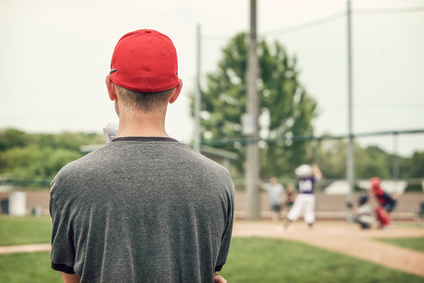 So when a parent comes to you and accuses the coach or another parent of something, you will have a clearer understanding as to whether their accusation is way out in left field, or whether there might be some truth to it. At that point, you can quickly put their concerns to rest, or you can validate them. As a parent for 31 years, I’ve learned that the best way to understand my kids is to just be present in their world. Today, that may mean working out at the gym where my daughter coaches CrossFit or helping my other daughter in her kindergarten classroom. As a sports parent, one of the ways I did that when they were growing up was to be part of their youth sports world by volunteering, driving kids to games, and helping feed the team. Yes, these are the “duties” of a sports parent, but a change in perspective may help parents see that volunteering provides paybacks that far outweigh the time parents give. Do you struggle with a busy schedule and say, “I don’t have time to volunteer?” I’m a parenting coach and I’d love to help you find the time. Schedule a free 15-minute call to see if family coaching is a good fit for you.